Inspired by the garden parties of the Gilded Age our "Beautiful Birthday", celebrates both the beauty of the botanical, and beauty of a joyous birthday. 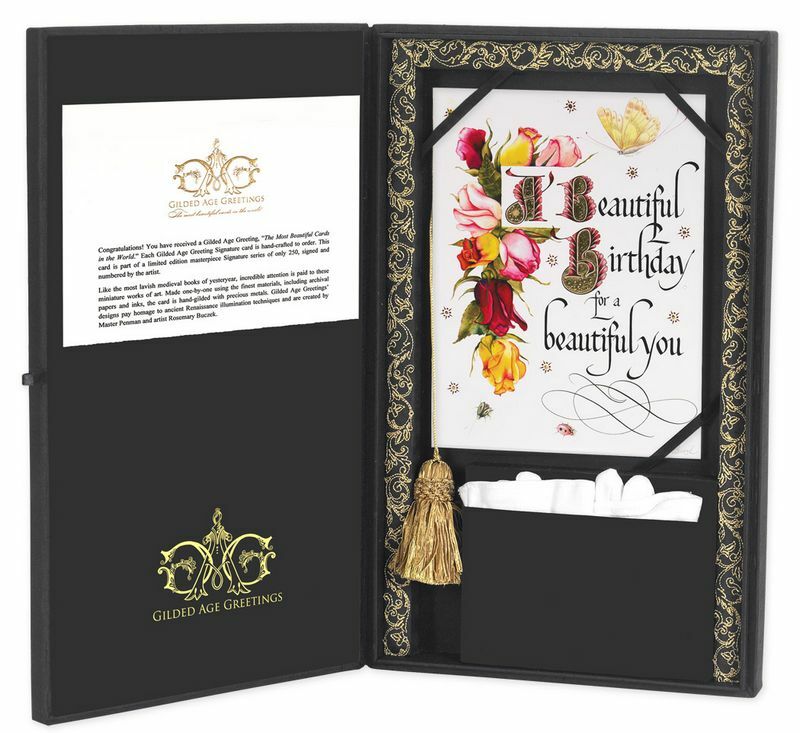 Each card of this edition features pink and yellow roses, tended to by eager ladybugs, surrounded with scrolls and letters elaborately tooled in 23k gold. 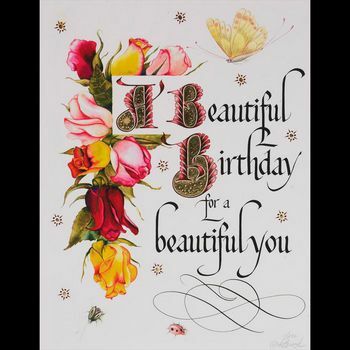 A "Beautiful Birthday" brings to life the Gilded Age style. 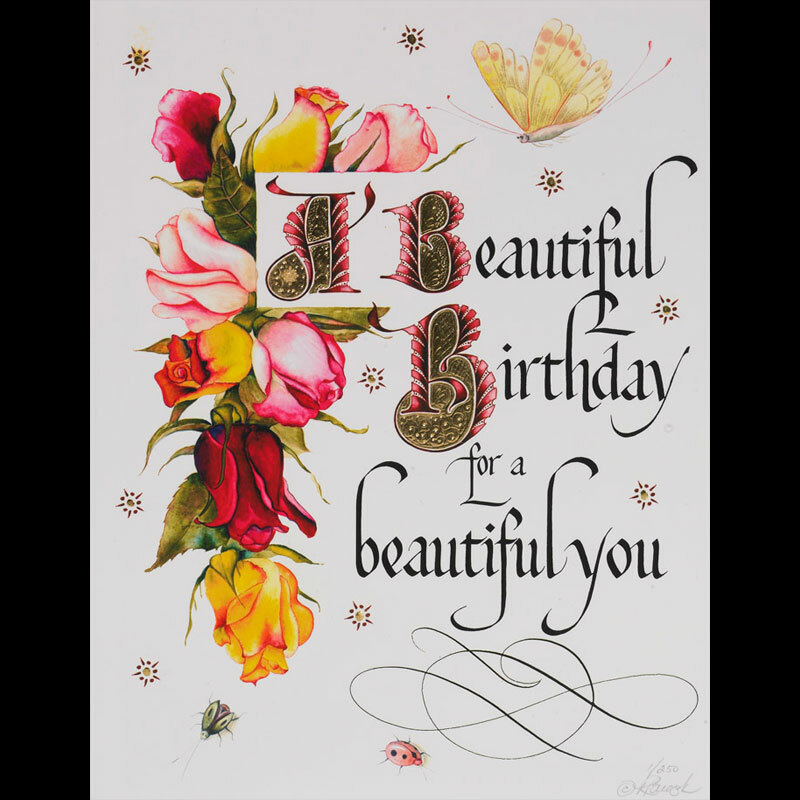 Each limited edition "Beautiful Birthday" card is signed and numbered by the artist, prepared as ordered either with your custom sentiment or blank leaves to be penned by the hand of the giftor. 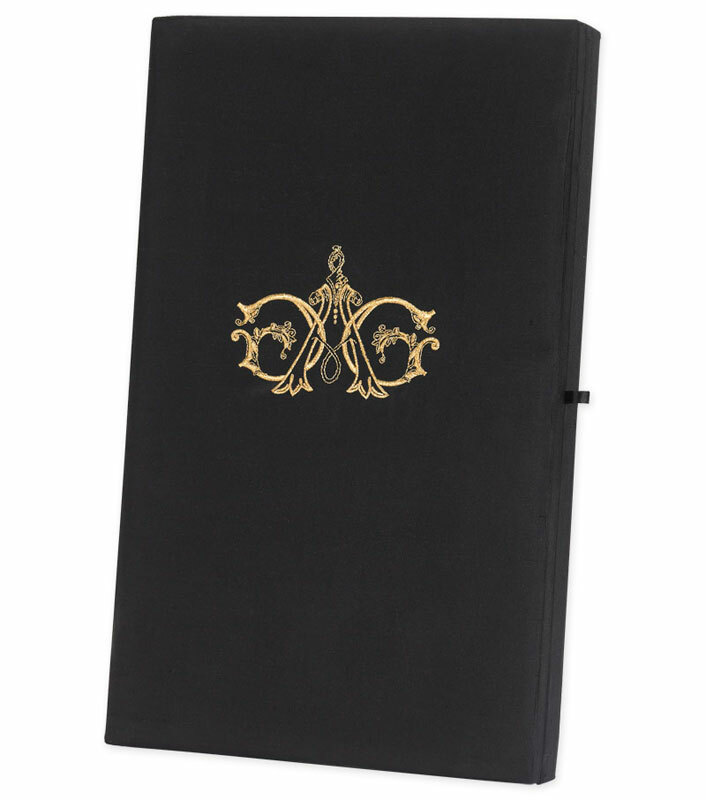 The card is presented tassel bound, within our lavish silk presentation box. Complimentary white gloves are provided for proper handling of the fine gilt work. The presentation box is handmade of couture quality silk. Each finished with fine gold embroidery throughout. Certificate of Authenticity: A finely engraved and hand signed document, containing edition number, history of illumination, artists biography and information exclusive to your card. 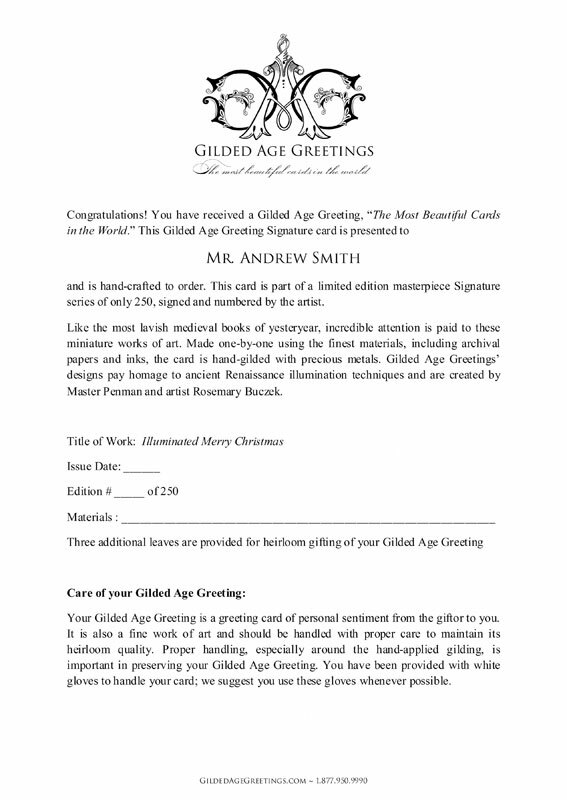 Your Gilded Age Greeting as an heirloom: Reminiscent of the renaissance treasure books that have inspired our collection, we encourage our giftees and giftors to tell the story of the greeting they have given or received. 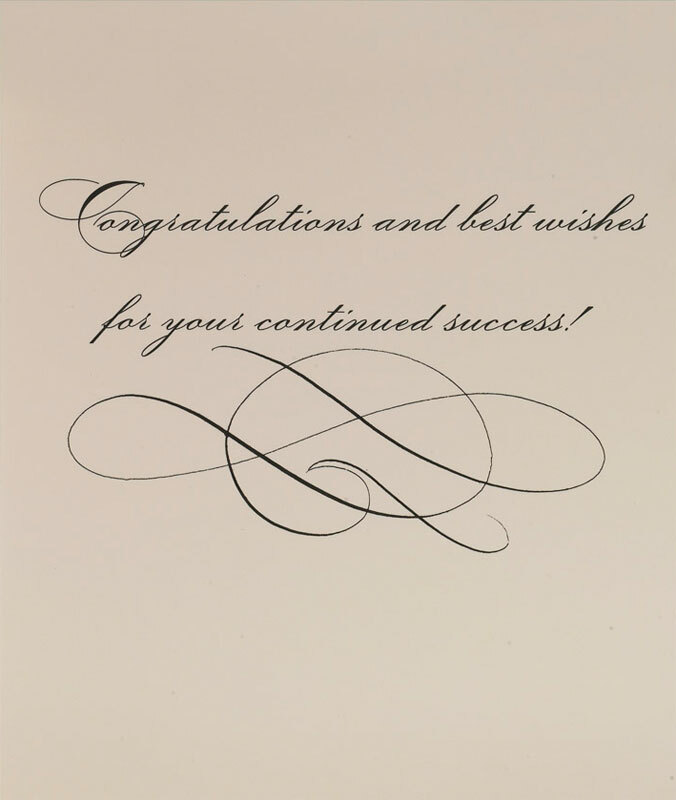 The additional leaves provided should be used to pen sentiments through the generations, each telling with great detail, how they came to receive a Gilded Age Greeting, the most beautiful cards in the world. 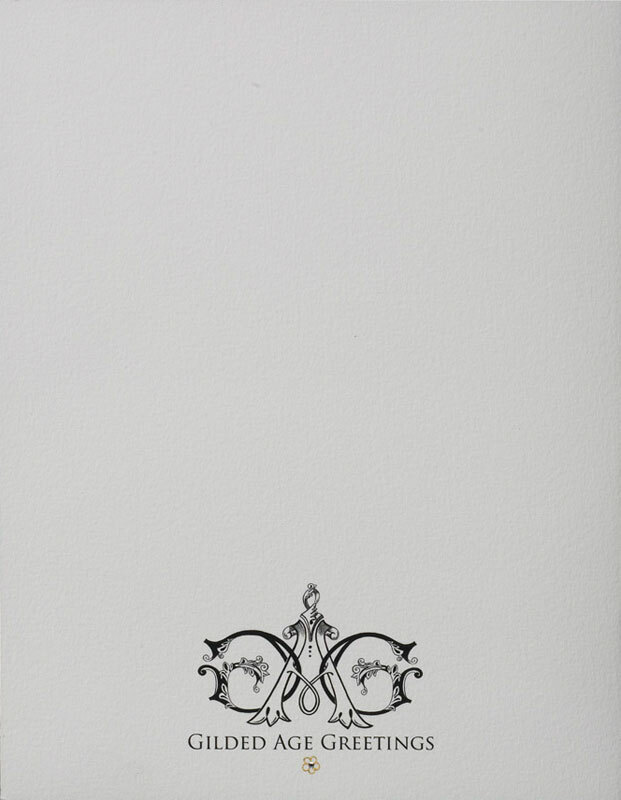 Giclee: Our limited editions are created using Giclee technique. For more information on Giclee, visit our resources page. Card Dimensions 7" x 9"
Presentation Box Dimensions 16.5" x 11" x 2"
My best client and a great friend. Have a very merry Christmas! Congratulations on the promotion, you deserve it. Date you would like your Card to Arrive? Please note that most orders require a two week period of time to prepare your card.